I WANTED TO BELIEVE HER—that her husband died eight months ago in a car accident, that she has cancer, that she has two teens at home, that she believed God led her to my church. But I didn’t quite know what to think of the woman who walked into Trinity Lutheran Church between services Sunday morning. She was dressed nicely, although her light-weight coat didn’t seem warm enough for winter weather. Her fingers felt ice-cold as she extended her hand to shake mine and introduced herself as Nettie. I offered her some coffee and orange juice, some doughnuts. She declined and, instead, through lips lined with plum lipstick that matched her scarf, asked to speak with a pastor. While my husband went to find a pastor, Nettie volunteered her story. I hadn’t probed, hadn’t asked, she simply told me about her dead husband, her cancer, the kids back home in Minneapolis, her need for money, the direction from God. She spoke politely, warmly and with ease, her voice smooth as honey. I could easily imagine her praising God in a southern Baptist church choir. All the while she spoke, I wondered. Was she telling the truth? Had she really gone to the Salvation Army and the Red Cross and had those organizations turned down her requests for help? Had she really, as she told me, just hopped in her car that morning and started driving, ending up in Faribault, at my church? About that time, the pastor arrived and I introduced the two. They walked to a quiet area of the narthex, to talk, and, I could see, to pray. A short while later Nettie walked out the door, into the cold. I knew she hadn’t gotten the money she requested. Today, more than 24 hours later, the entire scene replays in my mind. Should I have asked more questions? Could I, should I, have done more for Nettie? And why am I so bothered by this encounter? Ever since my friend Kathy told me about orange "smiles," I've eaten oranges this way. No struggling to remove the peeling. Just slice and eat. The fruit easily separates from the rind. EVER CRAVE A SPECIFIC food for days, even weeks? Now that’s a healthy alternative to the chips and chocolate I sometimes often desire. While I can’t pinpoint the exact reasons for my orange obsession, I can theorize. This has been a long and snowy winter in Minnesota. 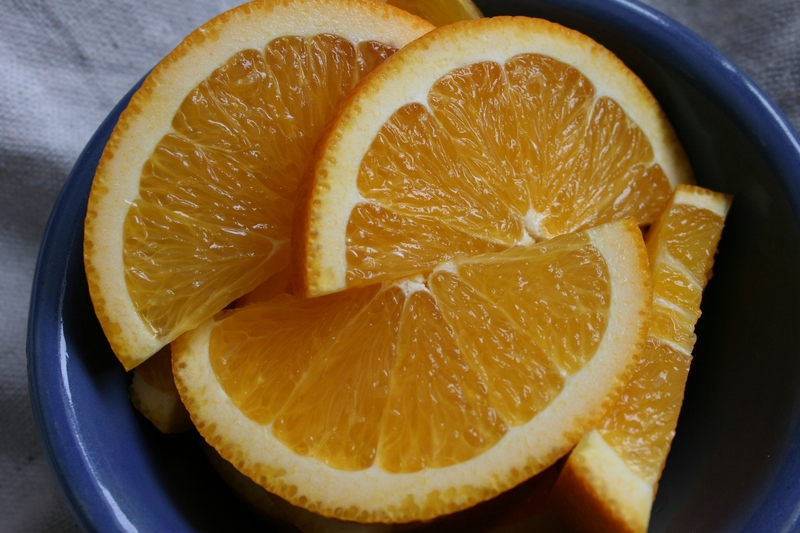 When I see and feel and taste an orange, I temporarily escape to a warm, sunny climate like Florida or California. Seriously. If you live in Minnesota, you know exactly what I mean. 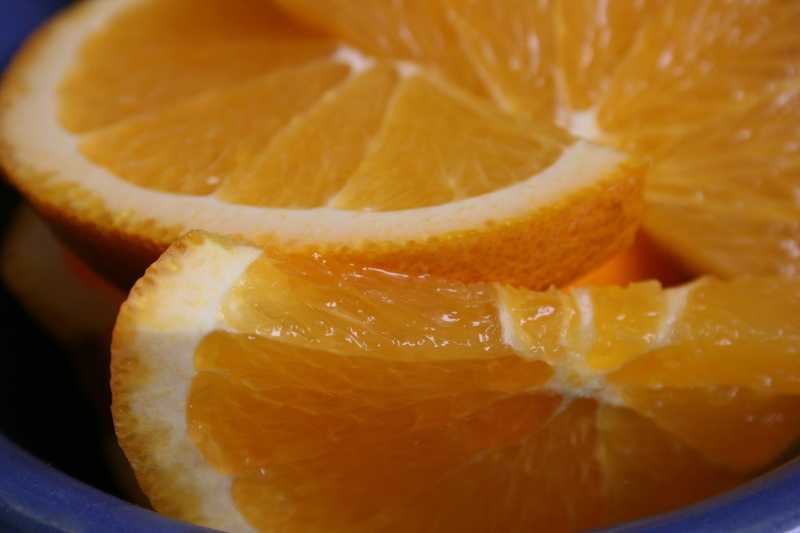 Keep sliced oranges handy in the fridge for a quick and healthy snack. And then there’s the color. Orange. It’s sunny, bright, uplifting. After way too many wake-up-in-the-dark and dark-by-five-o’clock days, I need an orb of cheerfulness to stave off a potential case of Seasonal Affective Disorder. Orange is, after all, opposite blue the blues on the color wheel. 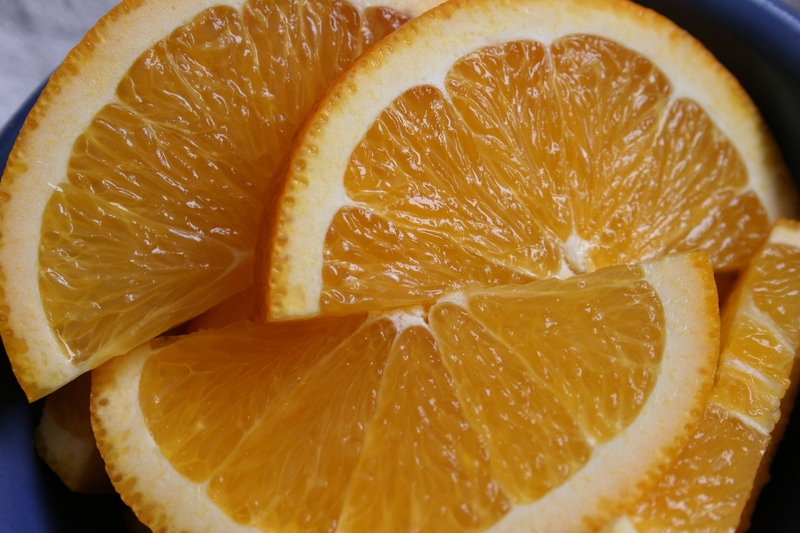 Juicy oranges quench thirst and provide Vitamin C.
Oranges also quench my seemingly endless thirst. That thirst, I concluded, is related to my dried out skin which is caused by the furnace running too much and drying out the air during these endless winter days. 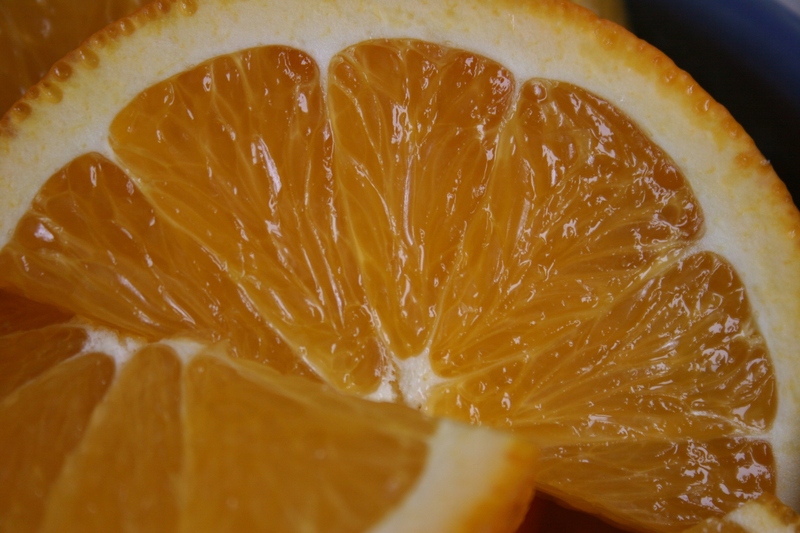 True or not, a juicy orange hits the spot. About now you’re probably thinking, what the heck, is this an advertisement for the California Citrus Growers Association or the Florida Orange Growers? No, rather these are the musings of a winter-weary Minnesotan who tastes summer in an orange. P.S. I will accept any and all free shipments of oranges to my snow-encased Faribault home. Thank you. Yes, I became obsessed also with photographing oranges. But this fruit photographs so well, don't you think? WHEN MY SECOND ELDEST daughter lived in Argentina, she discovered a sinfully delicious treat that ranks right up there with chocolate. Yesterday I found a container of this creamy sweet treat tucked in the back of the cupboard. My daughter brought it home from Buenos Aires in October and left it behind when she recently moved to Wisconsin. 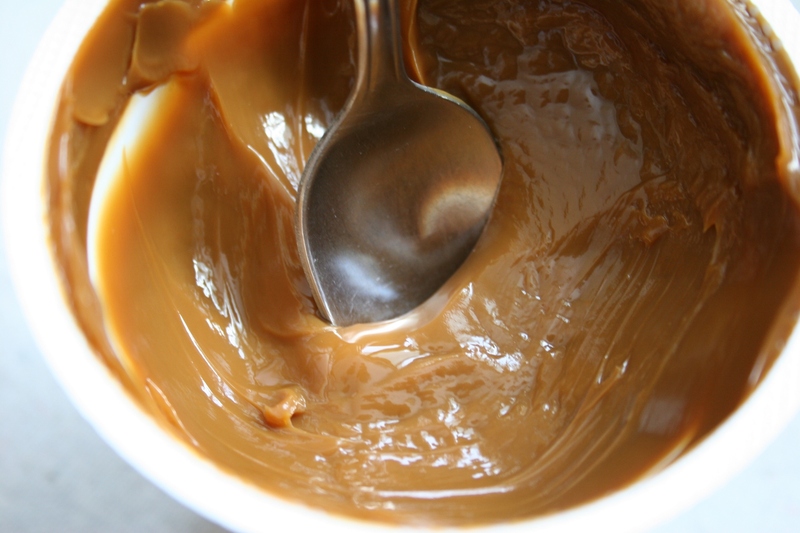 I opened the lid, dipped my spoon into the dulce de leche and savored the thick creamy caramel. 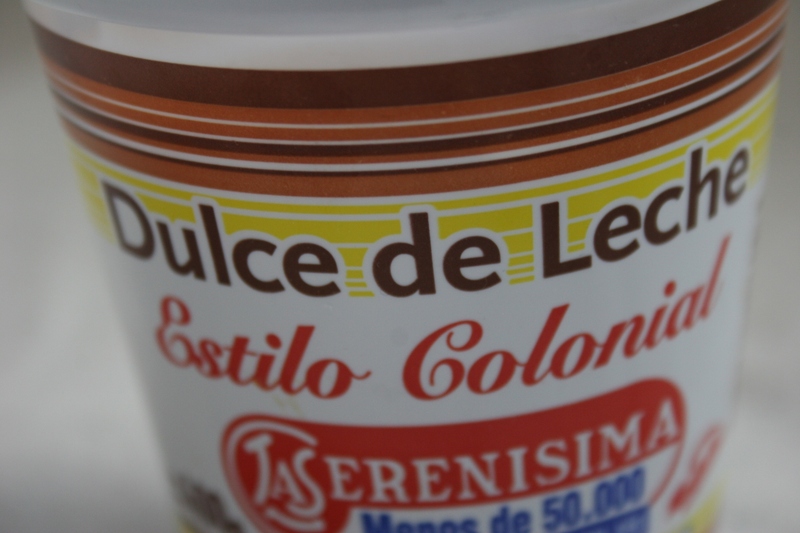 Dulce de leche comes in several styles, including this colonial style. The more expensive artisan style is lighter in color and even thicker. There are many brands on the market. Then I slathered more onto two scoops of ice cream. A perfect ice cream topping. I didn’t even need to add chocolate. FYI: You can find dulce de leche in the ethnic food section of your local supermarket, although I have not found a brand as tasty as the one my daughter toted home from Argentina. Or, you can create your own dulce de leche from sweetened condensed milk, which my second eldest learned to make while working in the Concordia Spanish Language Village kitchen near Bemidji. Go online and find a recipe. Argentines eat dulce de leche on alfajor cookies, pancakes, toast, crackers, ice cream, crepes, tortillas (like biscuits, not “tortillas” as we think of them) and more. 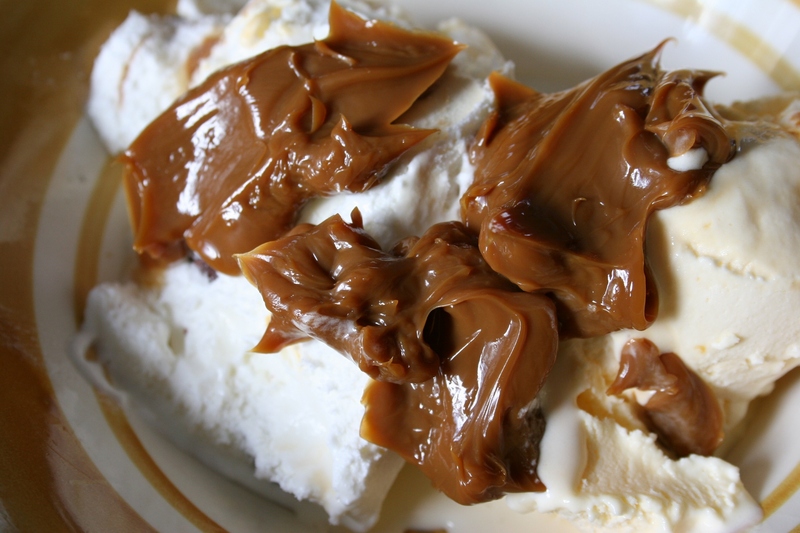 Have you ever eaten dulce de leche? If yes, what do you think? As good as chocolate? Then along came Sputnik, the Russian satellite, which made quite an impression on my impressionable young mind. So when President Barack Obama worked Sputnik into his Tuesday night State of the Union address and stated, “This is our generation’s Sputnik moment,” something niggled in my memory. That something would be a cat. Just to make sure I was remembering correctly, I phoned my mom, who quickly assured me that I was right. During my childhood, we had a black-and-brown mixed barn cat called Sputnik. “I think you kids named it after the Russian satellite,” my mom said. She was right. My oldest brother and I, enamored with the whole space thing, had named the barn cat with the stump tail (likely sliced off by a mower in the alfalfa field) Sputnik. I hadn’t thought about that feline in decades, until the President tripped my memory Tuesday evening while referencing Sputnik in his call for American innovation. Then Wednesday I got caught up even more in the Russian satellite memory when I learned that the President was visiting Manitowoc in eastern Wisconsin. On September 6, 1962, a 20-pound chunk of glowing debris from Sputnik IV plummeted to earth, landing on 8th Street in Manitowoc. This Wisconsin city celebrates that monumental event every September at Sputnikfest, complete with a Miss Space Debris Pageant, Cosmic Cake Contest, Cosmic Costume Contest, a Sputnik Re-enactment and more. How space-age cool is that? The President’s trip to Manitowoc was clearly well-planned and orchestrated to tie in with his Sputnik speech reference. Otherwise why would he have chosen to visit this city of 32,520 southeast of Green Bay? It’s not like he’s a Packers fan, although he received a yellow and green jersey upon his arrival. 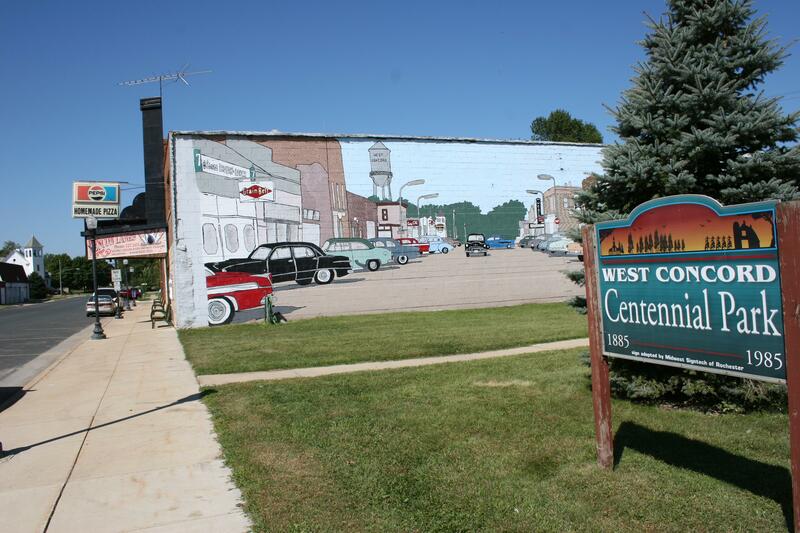 This town on the shores of Lake Michigan is also home to several green energy plants, which Obama toured, thus reemphasizing his State of the Union directive to move forward in developing clean energy alternatives. That all said, thank you, Mr. President, for mentioning Sputnik in your speech. I hadn’t thought about that barn cat in decades. 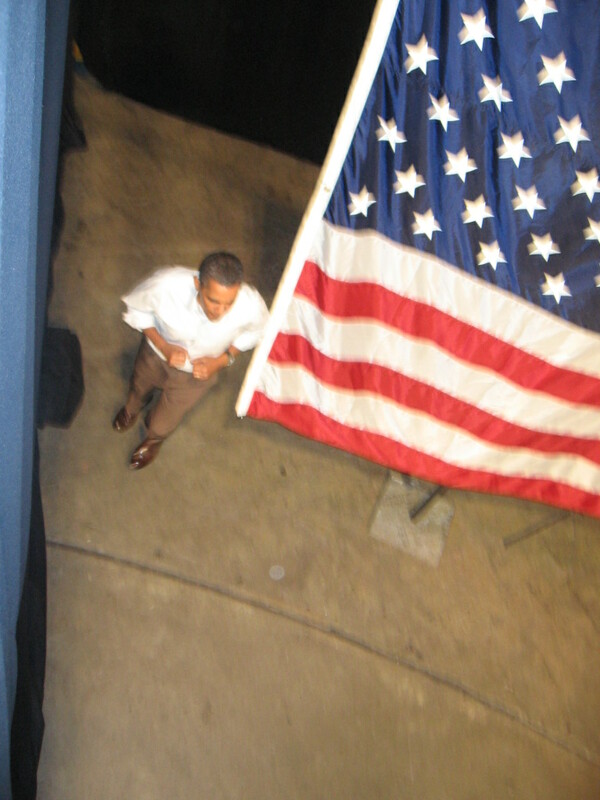 President Barack Obama in Minneapolis in September 2009. DID YOU LISTEN to President Barack Obama’s State of the Union address? And, if so, what did you think? I can’t exactly put my finger on it, but the whole speech seemed more lackluster than your typical Presidential annual summary, although Obama certainly tried. Political commentators attribute the noticeably subdued reaction among attendees to the fact that Republicans and Democrats sat jumbled together rather than each party in its distinct spot. I agree that one would be more hesitant to strongly react to a Presidential statement when seated with members of the opposite party than when sitting with your own crowd. On to the speech…Obama tried to convince Americans numerous times that our nation is now on the road to economic recovery. “The economy is growing again,” he said at one point. I see some glimmer of that, but I don’t think the current situation—with the unemployment rate hovering around 9.5 percent—is quite as bright as the President believes. “America still has the largest most prosperous economy in the world,” Obama told us. Right or not, I don’t know. I hope he’s right, but I’m no economist. President Obama outlined steps to move our country forward via innovation, investment in education, rebuilding America and controlling spending. His call for clean energy and improving our infrastructure with a high-speed rail system are nothing new. I’ve heard this all before and, although the ideas are good, I question whether independent “I-love-my-car” Americans will embrace electric cars and high-speed rail. Geographically our country is much larger than nations with successful lightning-speed rail systems. And how, exactly, will this be funded? “Innovation is how we make our living,” the President said as he defined his first step in building a stronger country. ONE OF HIS MORE MEMORABLE QUOTES: “This is our generation’s Sputnik moment.” Sputnik, for those of you who haven’t a clue, was the first earth-orbited artificial satellite launched by the Soviet Union in 1957. I thought America had its moment when we landed on the moon. I liked the President’s statement that “…the winner of the science fair needs to be celebrated,” although I find it odd that he compared such recognition to Super Bowl winners. I’ve long thought those who excel in academics deserve the same recognition as those who excel in sports. But I doubt you’re going to change an entire society’s attitude. I mean, will local newspapers devote a whole section to academic achievers like they do to athletes? I wish they did, but it’s not going to happen. When addressing the topic of education, Obama called for Americans to treat teachers with the same level of respect as teachers in South Korea, who are called “nation-builders.” Yikes. That word choice really, really bothers me. That, in my mind, produces an image of students in uniforms and teachers drilling science and math into students’ heads. I’m sure the President did not mean it that way, but that was my honest, first gut reaction. As the President discussed streamlining government and curtailing government spending, he informed us that salmon—yes, the fish—are regulated by two government agencies. That drew audience laughter and certainly made the point that reform is needed within government operations. He proposed a freeze on annual domestic spending for the next five years. You think? And how did we get there? Yet, he recognized that differences will always exist and that such differences are part of the foundation of a democracy. “We will argue about everything,” Obama said. I appreciated that the President emphasized that point, that freedom of speech point. “I know there isn’t a person here who would trade places with any other nation on earth,” our nation’s leader said toward the end of his speech. IF YOU HAVE THOUGHTS on the State of the Union address, I’d like to hear them. What did you like or dislike? What did you believe or disbelieve? And how would you describe the state of our union? MAIN STREET. Those two words paint a Norman Rockwell image in our minds of barber shops and lunch counters, of neighborliness and kindness and close-knit families, and all that is good about small town life. In the real world, such an idyllic place exists primarily in our imaginations. 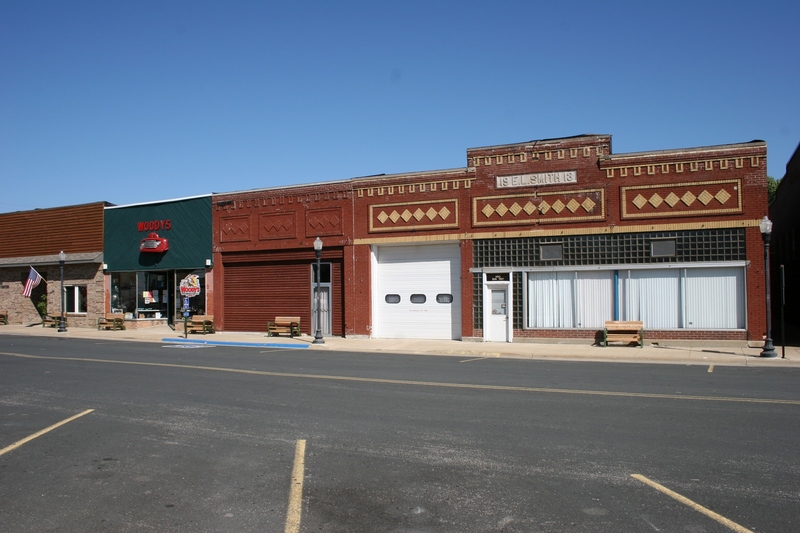 Yet, if you look closely enough, if you take the time, you can still find those small towns, those special places that hearken to a simpler era. 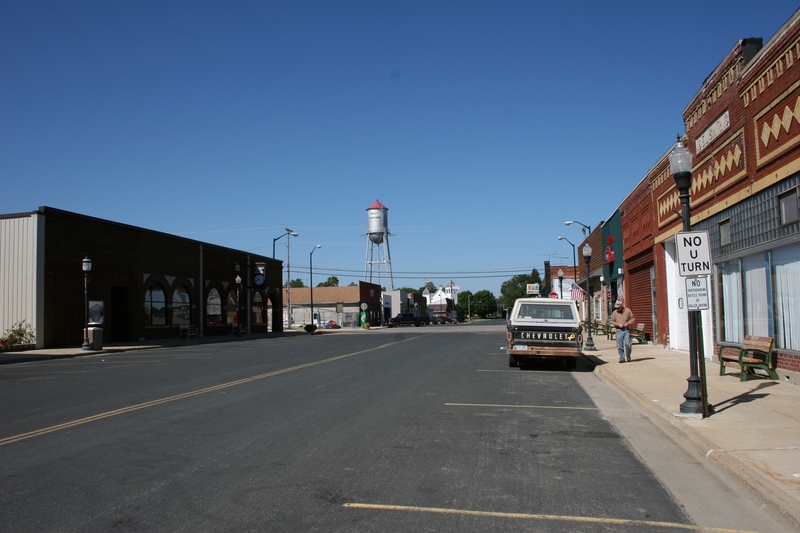 In these communities, you can walk down the middle of Main Street without concern for traffic. You can walk into a café, the hardware store, a bar and watch heads pivot toward you, the stranger. You’ll feel the questioning eyes, the locals wondering what the heck brought you here, to their little town, their Main Street. 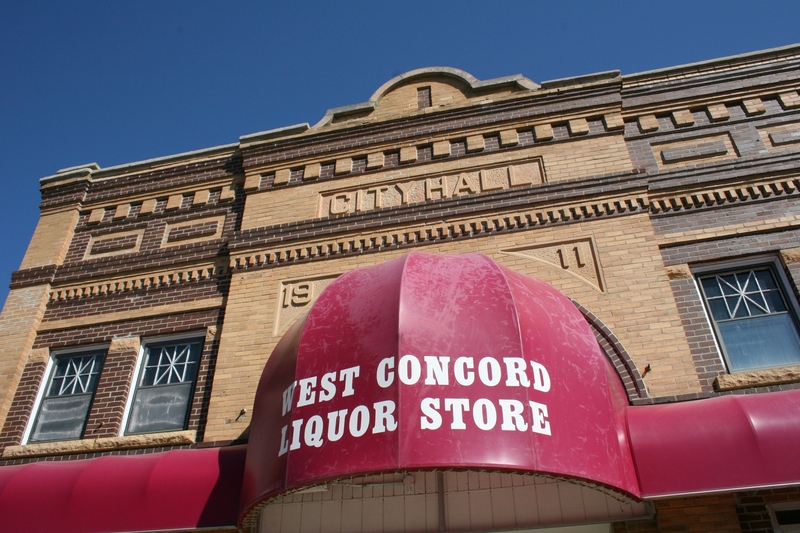 The West Concord Liquor Store in the 1911 City Hall building. American Legion Post 295 in the 1911 Blaisdell building on West Concord's Main Street. 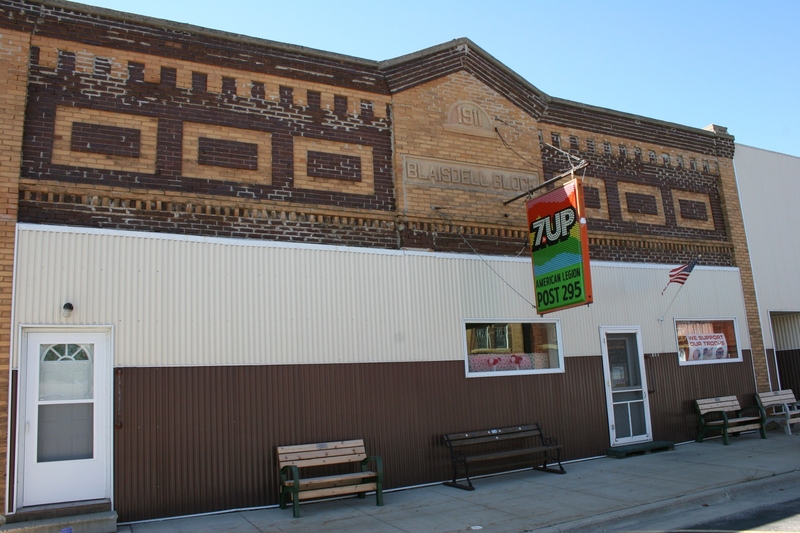 I can only imagine how beautiful this building would be returned to its original glory, minus the siding. 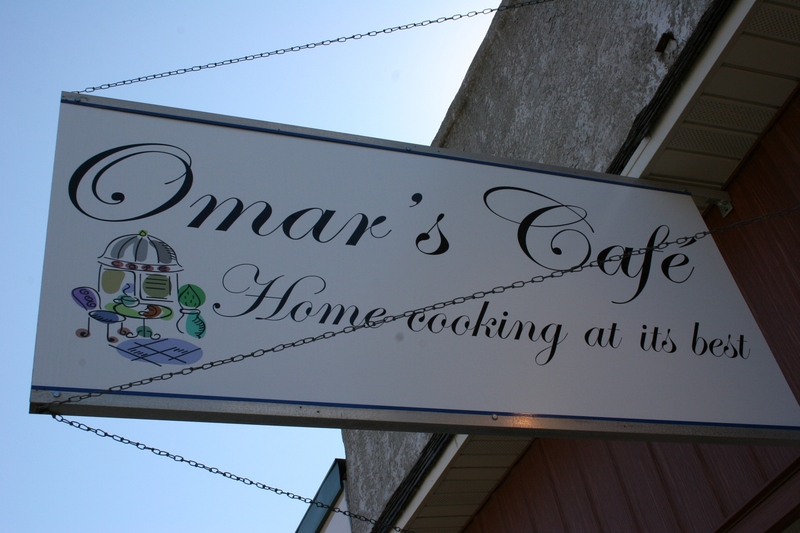 A sign marks one of West Concord's newest businesses, Omar's Cafe. The caramel rolls here are "to die for." I'll share more about this cafe in a future post. 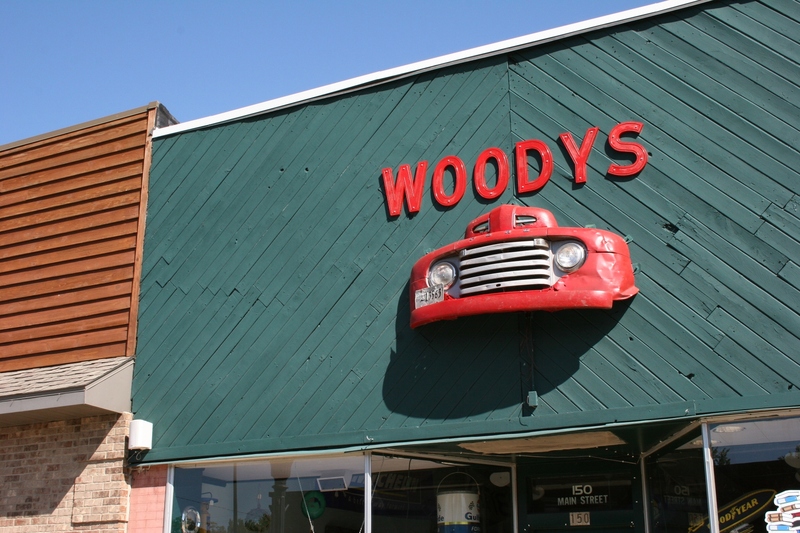 Woody's Auto Literature & More is one of the more intriguing West Concord businesses, located at 150 Main Street. Unfortunately, the business was closed when I was in town last fall. Businesses along Main Street in West Concord. The architecture on some of West Concord's downtown buildings is stunning. 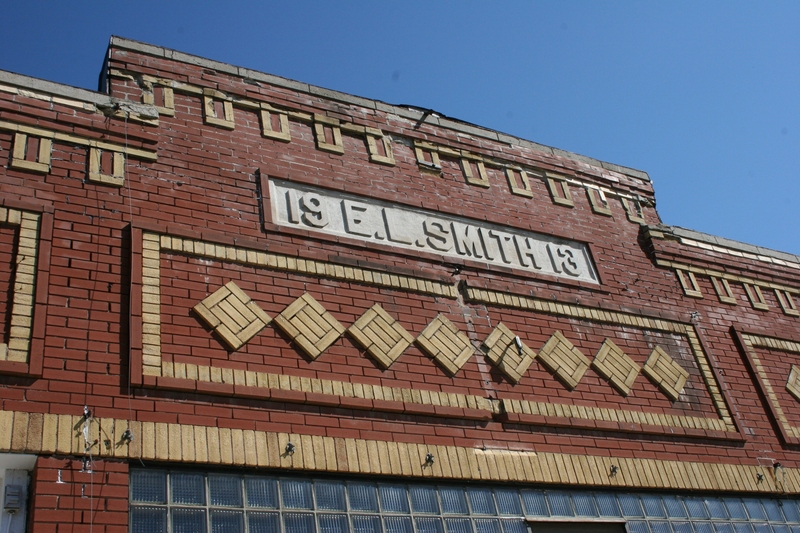 I hope the community appreciates these historical treasures like this 1913 Smith building. 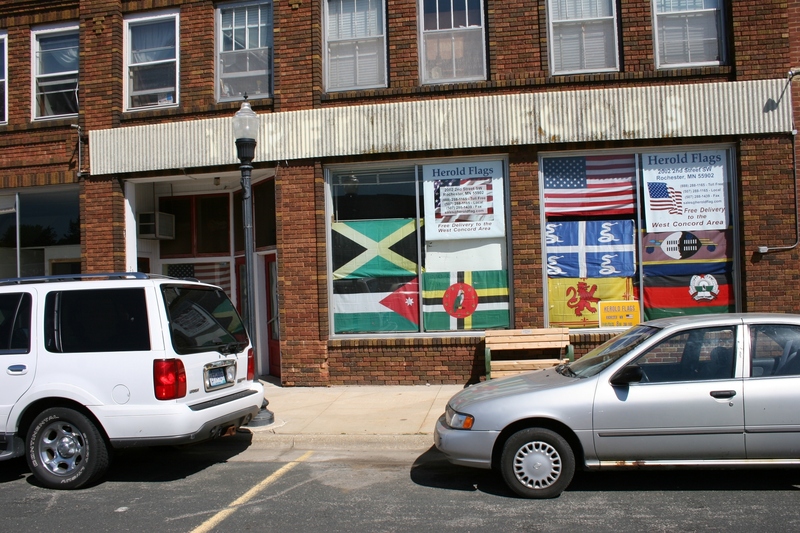 Herold Flags, another unusual business along Main Street in West Concord, sells flags and flagpoles. A mural graces the side of a building next to a park along Main Street in West Concord. The community has an annual summer car and truck show and, I think, other car cruises. DO YOU KNOW of an interesting, or have a favorite, Main Street, U.S.A.? FORGIVE ME if you’re not from Minnesota. But we Minnesotans obsess about the weather, especially in winter. We have good reason. With snow and cold hanging around for six months or more, the weather definitely impacts our daily lives. 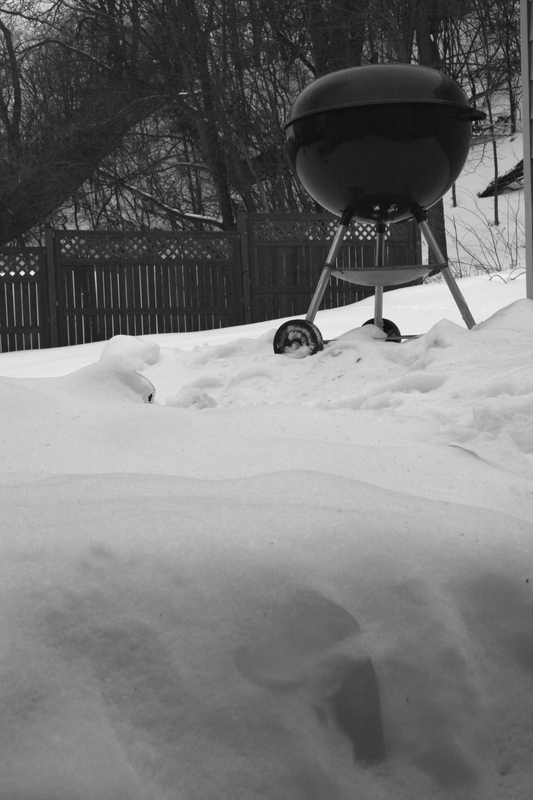 Sunday night my husband grilled chicken and potatoes in the Weber grill atop the snow mountain that was once a backyard patio. The temperature hovered around 10 degrees. This morning, when my 16-year-old left for school, the temperature registered 15 degrees. That’s 40 degrees warmer than the minus 25-degree reading on Friday morning when he refused to walk eight blocks to school. The past two days I’ve had an upstairs window open with a fan blowing hot air outside. Sounds crazy, I know. But I’ve been staining and varnishing window trim on the second floor and the fumes were getting to me. I had a headache. My mouth tasted like stain and varnish. Not healthy. So for some six hours, that window remained open on Sunday and is still open today. But, hey, the temperature this afternoon is a balmy 28 degrees, so it’s not like I’m allowing sub-zero air into the house. WHAT TYPES of crazy things have you done in the cold of winter?